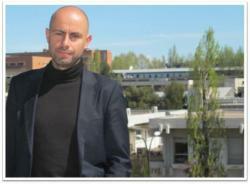 Dr. Antoni Verger is a “Ramon y Cajal” researcher (2011-2016) and lecturer at the Department of Sociology of the Universitat Autònoma de Barcelona (UAB). He was awarded a PhD in Sociology from the same university in December 2007 for his work on the WTO/GATS and the international liberalization of education, which was published by Routledge (New York) in 2010. After his PhD, he became a post-doctoral researcher at the Amsterdam Institute for Social Science Research (AISSR) of the University of Amsterdam (UvA) (2007-2011). Within the framework of the IS Academie, he carried out research in the areas of the global governance of education, education privatization, and higher education and international development. Currently, his main areas of research are, on the one hand, the global governance of education and the role of international organizations, transnational civil society networks and the private sector in global education politics and, on the other, the analysis of education privatization, public-private partnerships and quasi-markets in education and their impact on education inequalities. He also collaborates with and has conducted research for UNESCO, the Global Campaign for Education, Education International and several European aid agencies. Verger, A., M. Novelli and H.K. Altinyelken. 2012. Global Education Policy and International Development: An Introductory Framework. In Verger, A., M. Novelli and H. K. Altinyelken (eds.). Global Education Policy and International Development: New Agendas, Issues and Policies. Continuum, London: 3-32. Verger, A. 2012. Framing and selling global education policy: The promotion of public-private partnerships for education in low-income contexts. Journal of Education Policy, 27(01): 109-130. Verger A, Sayed Y, Hiroshi I, Croso C, and Beardmore S. 2012. EFA, civil society and the post-2015 agenda. Compare: A Journal of Comparative and International Education. 42:881-902. Verger, A. and X. Bonal. 2012. “All things being equal”? Policy options, shortfalls and absences in the World Bank Education Sector Strategy 2020. In Klees, S., J. Samoff, and N. Stromquist (eds.) World Bank and Education: Critiques and Alternatives. Rotterdam: Sense. Verger, A. and M. Novelli. (eds.). 2012. Campaigning For ‘Education For All’: Histories, Strategies and Outcomes of Transnational Social Movements in Education. Sense, Rotterdam. Robertson, S., A. Verger, K. Mundy and F. Menashy (eds.) (2012). Public Private Partnerships in Education: New Actors and Modes of Governance in a Globalizing World. Edward Elgar, London. Verger, A., 2010, WTO/GATS and the Global Politics of Higher Education, Routledge, New York-London.